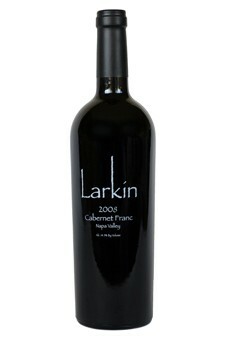 2008 has turned out to be a top year for Bordeaux varietals in Napa Valley and Larkin’s 2008 Cabernet Franc is outstanding. Its stunning perfume offers up scents of boysenberries, black currants, black cherries, spring flowers and forest floor. Full-bodied with a velvety texture and serious intensity, but not a lot of weight or structure to fight through, this beauty should drink nicely for 10-15 years.